Our Magic Kingdom day started in Epcot for breakfast. Then to Magic Kingdom where we left as they were closing for Mickey's Not So Scary Halloween Party, then to Hollywood Studios where we closed the park with Fanstasmic! and then back to Epcot to close out that park with dinner at Chefs de France! It was a go, go, go day! 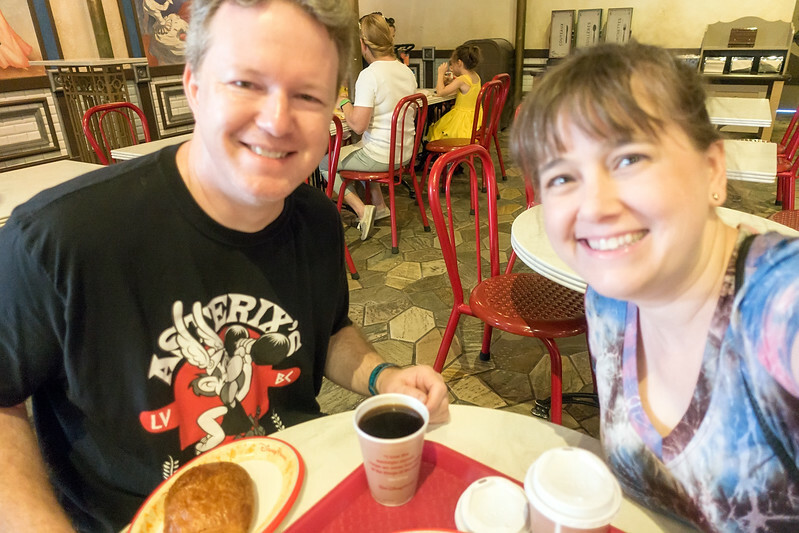 Here we are for our third day in a row of eating breakfast at the French Patisserie. Today, we had to wait a bit for them to drop the ropes. We also tried the chocolate brioche. Yummy!